A New York City socialite is a suspect in a burglary spree through Camden, Maine, and has been charged with felony theft. Twenty-one year old Talicia Martins was once photographed for Teen Vogue, and wrote an article about her year traveling in Europe. But it was a recent trip to Camden, Maine, that’s making headlines now, leading to a new photograph - a mug shot. Camden Police said the New York City socialite is a suspect in a burglary spree through downtown Camden and has been charged with felony theft. Martins is the daughter of Darci Kistler, the former principal dancer in the New York City Ballet, and Peter Martins, a famous choreographer and the chief of the metropolitan ballet company. Police said three small businesses in the coastal Maine community were broken into last week, and each had hundreds of dollars stolen from cash registers. Police circulated surveillance footage, and an anonymous tip led them to Martins and her friend, Jacob Flanagan. 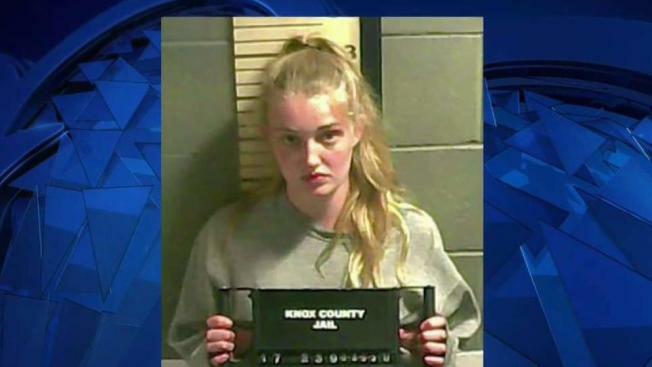 Investigators said the pair had traveled from Manhattan to Maine, and that drugs and alcohol were involved in the burglaries. "I think people of privilege should be helping other people, not destroying people that are working really hard," said Alicia Landi, owner of the Smoothie Shack. She said she found her business broken into and cash register stolen. She estimates about $500 was stolen. At Francine Bistro, the burglars kicked down the front door and stole about $600. At ice cream shop Camden Cone, the suspects entered through a window and stole more than $1,000. Martins and Flanagan are free on bail. Court documents state that the pair will return to Rockland, Maine, for an initial court appearance on Sept. 25. It wasn't immediately clear if Martins and Flanagan had lawyers. Phone numbers for the pair couldn't be located, and the phone rang unanswered at their parents' homes.